The AOA recommends an annual eye exam for any patient who wears eyeglasses or contacts. 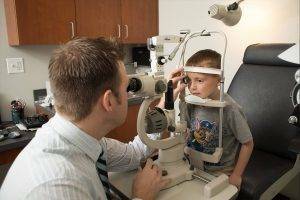 If you don't normally need vision correction, you still need an eye exam every year. 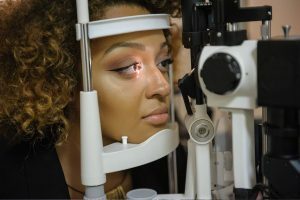 Doctors often recommend more frequent eye examinations for people with diabetes, high blood pressure and other disorders, because many diseases can have an impact on vision and eye health.